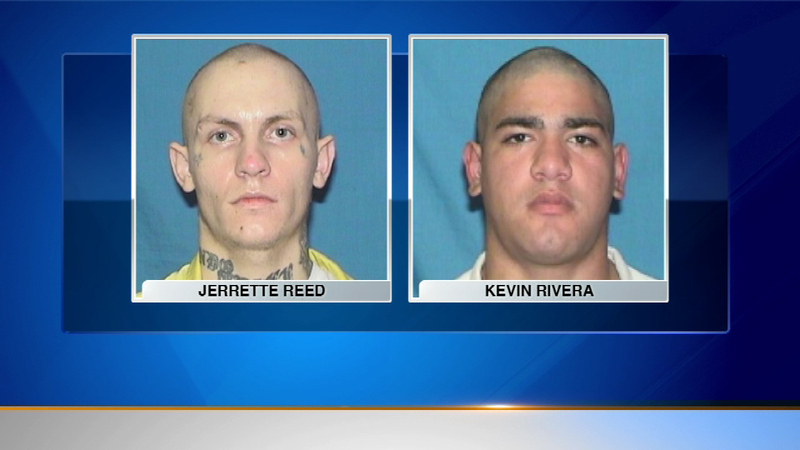 DIXON, Ill. (WLS) -- Police are searching for two inmates who escaped from a boot camp in downstate Illinois Sunday. Jerrette Reed and Kevin Rivera vanished from the Dixon Springs Impact Incarceration Program in Pope County just before 6 p.m. Sunday evening. They were last seen wearing orange t-shirts with blue pants with a yellow stripe along the sides.